Question To Dr Robert Marshall. 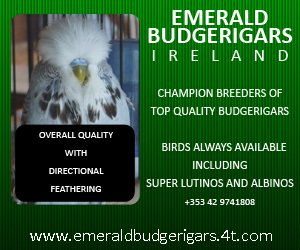 I have seen your articles on the excellent new budgerigar website set up by Gerald Binks. I am hoping you can help me. 2. A pulsing in the crop area. I treated him over a period with tetracycline paste, baytril, megabac and amoxicillin trihydrate. He did not respond and eventually died after 6 months had passed. Now two of his sons have the same weight loss. They are fluffed up and again do not respond to any treatment. They can look fit for a while, but then relapse. There is no nasal discharge. No vomiting, but the faeces are yellowish in colour. Have you any suggestions as to the problem? Weight loss over a prolonged period is consistent with Megabacterial infection. In my book I describe Megabacteria as a secondary disease related to immune suppression. So we have to look for another primary infection which may be a genetic weakness, but more often inherent Polyomavirus infection and / or stress related psittacosis. I would look for the presence of French moult in the stud. Treatment for megabacteria is complicated and requires direct action via crop needle, but the underlying cause has to be identified. Irrespective, the long term approach is to breed away from this line as it is genetically weak. What do you recommend for treating megabacteria? I suggest Fungalin in liquid or tablet form. You need to treat1/4 ml of fungalin liquid with our “Quik Gel”, ER Formula, with a dosage rate of 2.5 mls daily via crop needle for 10 days. After this assess the situation. Often streptococcus is also involved. So an additional antibiotic, e.g. Clavulox liquid 0.1 in the mixture is a help. If good fertility is a problem or patchy, you may have a psittacosis infection which will then be the primary cause and megabacteria the secondary factor because the polyomavirus seems under control. I have now obtained the fungalin, but in tablet form. How do I mix this prior to inserting it via crop needle as you advised? Dissolve one crushed tablet in 10 mls of water. This makes a working solution which you can keep in the fridge. Shake well before use. This should do for a complete course. You can extrapolate the dose down, according to the number of birds involved. Thank you for your considerable help and advice. 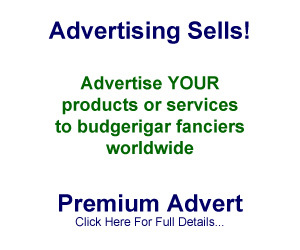 It is much appreciated and I have requested Gerald Binks to publish this on Budgerigar.co.uk for the general benefit of the fancy at large. I live in Thailand and am a Budgerigars lover. I am interested in “Tetracycline paste” and “Quik Gel” but there is no pet shop in Thailand that can supply them. Can you please advise me of a shop or website where I can obtain these drugs? This article (Megabacterial Infection) was very useful to me – thank you. Tetracycline paste is an anitibiotic used to treat Psittacosis (also known as Chlamydophila infection). Doxycycline is a modern version of tetracycline, but belongs to the same antibiotic family. Treatment with this family of drugs is advised prior to the breeding season – usually during winter time – to improve fertility in flocks that have experienced high levels of infertility during the previous breeding season. This type of antibiotic is a prescription remedy available through a veterinarian. Quik gel is available directly from me or Riversway UK via the internet. Our website has the full details of where to access Quik Gel direct from Dr Marshall in Australia or from Riversway Avicultural Products Ltd in UK. I speak from experience that Quik Gel is a superb product. Tetracycline paste is obtainable (but not legally) from a European country. That said, it is plain Terramycin ( a powder dissolved in a holding black paste) so you can visit your Veterinary Surgeon to obtain the powder itself and dissolve it in water. Administering to sick budgerigars should be done by crop tube, but we strongly advise you read Dr Marshall’s column in great detail on our website first of all, so that you can be certain you are administering the right drug for the symptoms he accurately describes that you can personally identify with. Terramycin is not a “cure all” drug as some think and run to for all sorts of ailments. Use Dr Marshall’s work – that is why it is on the website so you can accurately make your bird(s) well again. I will triy to study more and may consult again. Can megabacteria / AGY be passed to humans? The first record of “megabacteria” being spotted was at the London Zoological Society Veterinary Department in the early 1980’s by Dr Gordon Henderson. He was examining fresh carcases from the Kirkby Mason and Dabner Stud (UK), where there were strong symptoms of “going light” with birds crowding around the feeding receptacles all the time and always huddled together. In the examination, Dr Henderson spotted the protozoan “bug” trichomonas – but only within 10 minutes of a bird being euthanised. As the oesophagus was examined under the microscope, these tiny protozoans appeared ( see “The Challenge p234″ ). However, in the” field of view”, large and massive clear rod-like shapes also appeared. This was the first recorded siting of “Megabacteria”. The name chosen was a poor one – the fact is, it is not a bacterium! The reason for the bad name, was because that there was no way that London Zoo could isolate these rods in the laboratories, by growing them in any way. The work by Dr Henderson was subsequently recorded in scientific journals and then others piled in and somebody gave it the name that persists to this day. It would have been far more appropriate if it had been called “Megafungus”, as to treat it , an anti-fungal drug is, so far, the only solution. To conclude, this fungus cannot be contracted by humans and has to date never been recorded in any of us. It is therefore a non-notifiable problem to the authorities in any country, unlike pstttacosis and avian influenza. Can anyone recommend a UK supplier for megabac-s? Hi,some of my birds are fluffy and they have greenish soiled feder around their vent(dieria),I treated them with tetracycline but I did not get any result in fact I lost 2 of them shortly after that,could my problem be a case of coccidioses? How should I do to help them get well. The only way that you can get professional advice is through a veterinarian. There is nothing to be gained by using a broad specrum antibiotic if the problem is not bacteriological. However, if it is you need to treat your birds for a full 7 days, crop feeding them if necessary to ensure they get their medication. Withdraw all greenfood, ensure sick birds are isolated away from the main flock and kept in quiet surrounding, out of direct sunlight with clean food and water. Treatment with a probiotic is also advised.